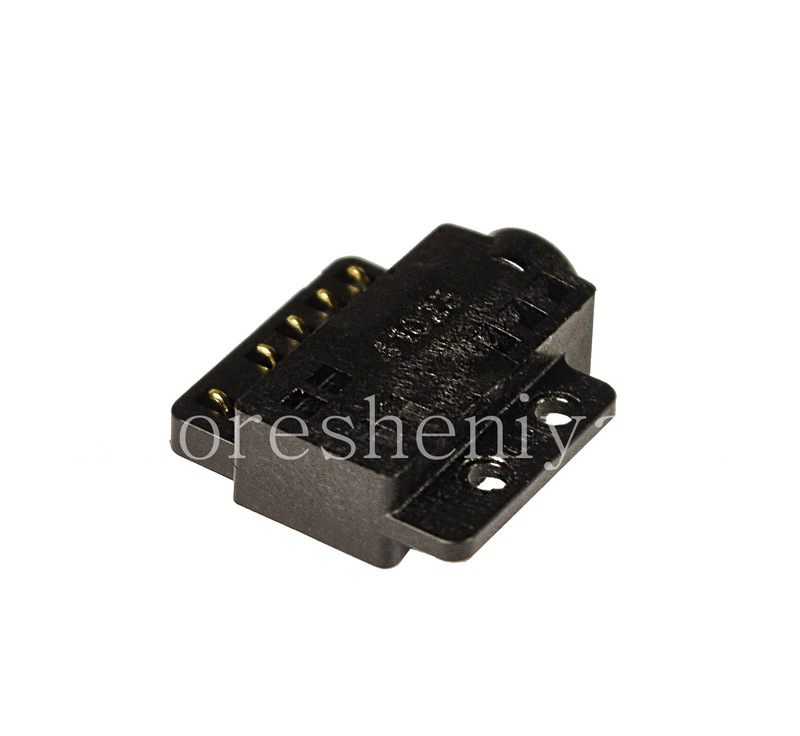 Audio connector type T15 for BlackBerry Passport. Allows you to connect to your phone headsets, car stereo system via the AUX-cable and other media devices, there are also other equipment and controlled via the 3.5mm connector. 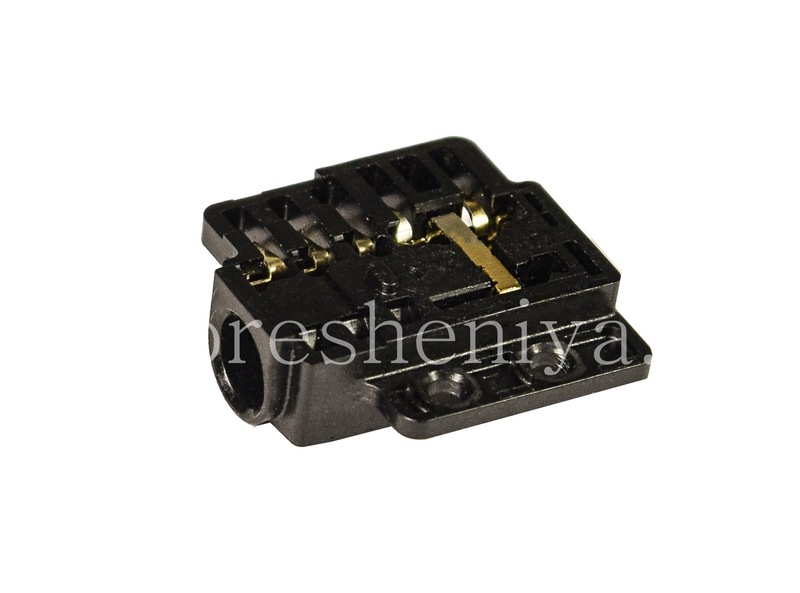 Audio jack (Headset Jack) T15 type for BlackBerry Passport. 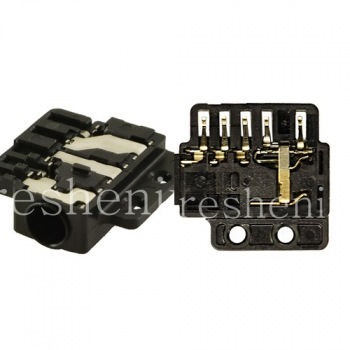 It connects to a standard plug: 3.5mm four-TRRS (stereo) or three-channel TRS (mono). Audio jack allows you to connect to your phone headsets, car stereo system via the AUX-cable and other media devices, there are also other equipment and controlled via the 3.5mm connector. 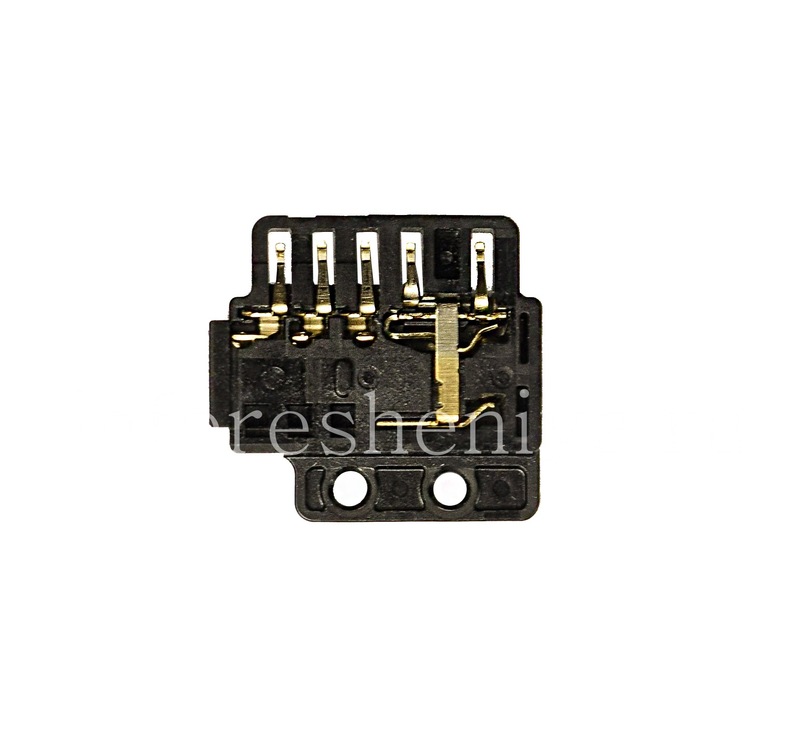 This is the original BlackBerry spare part quality. 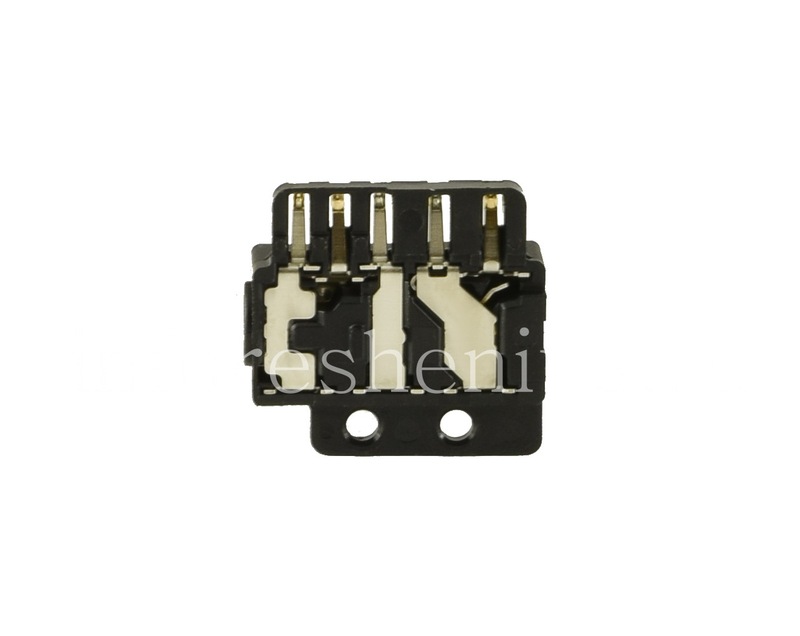 In case of damage of the element, for example, physical, or in contact with moisture, audio jack can no longer perform their function. 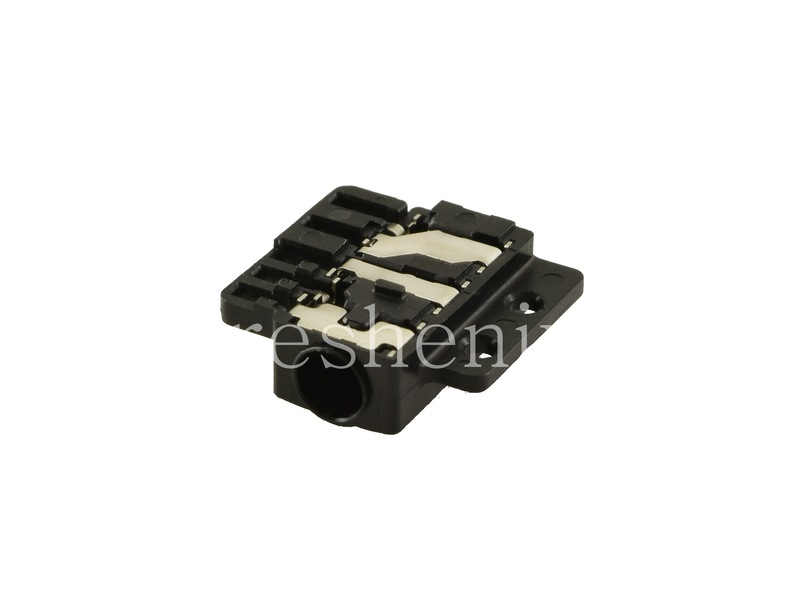 The solution is to replace the connector as "repair" it, in most cases it is impossible: it is due to physical damage to its contacts or oxidation. 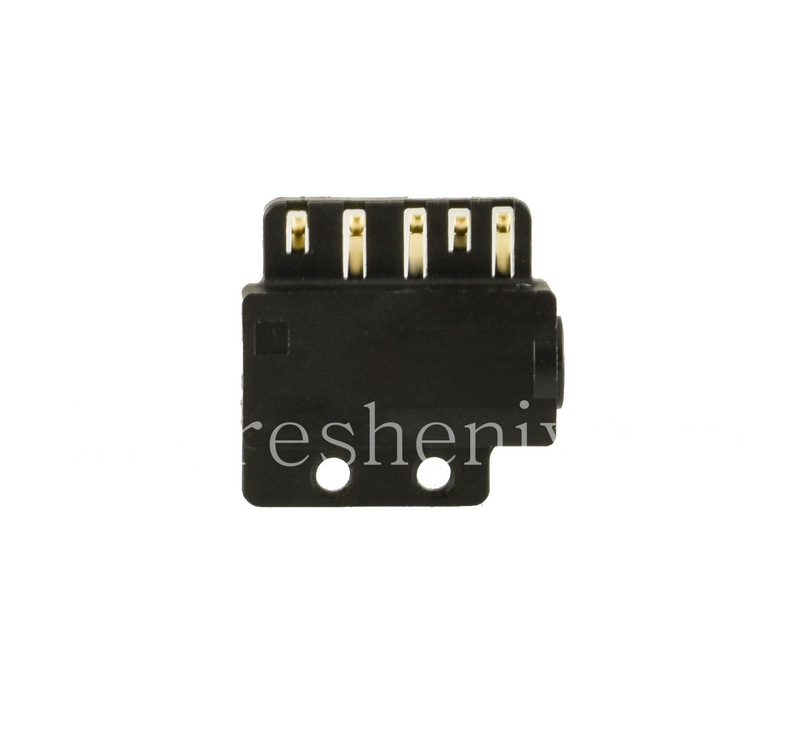 Audio connector on the BlackBerry Passport T5 secured with two screws. 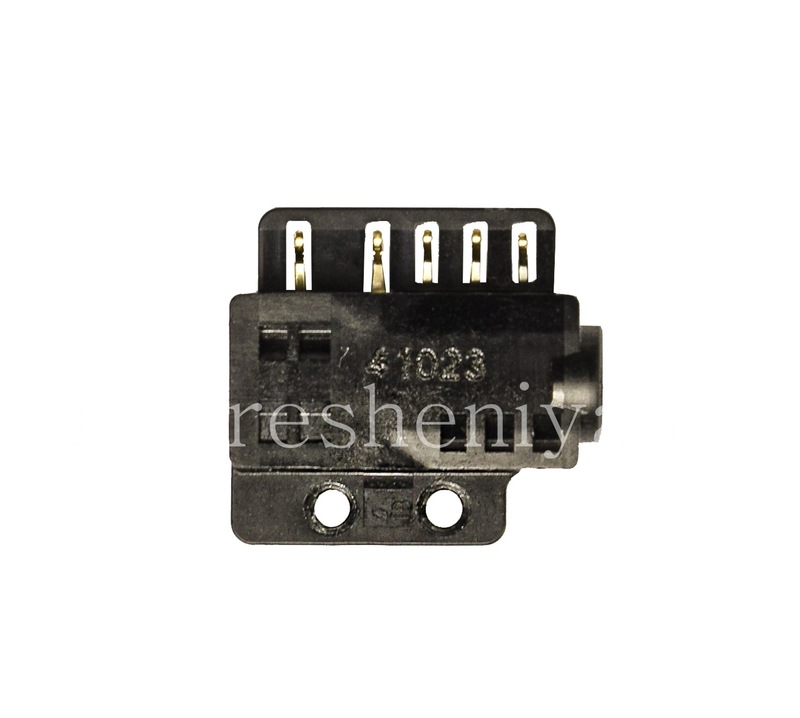 Learn more about audio jack repair, visit Replacement audio jacks page. Please note, audio jack for different Passport Silver Edition. 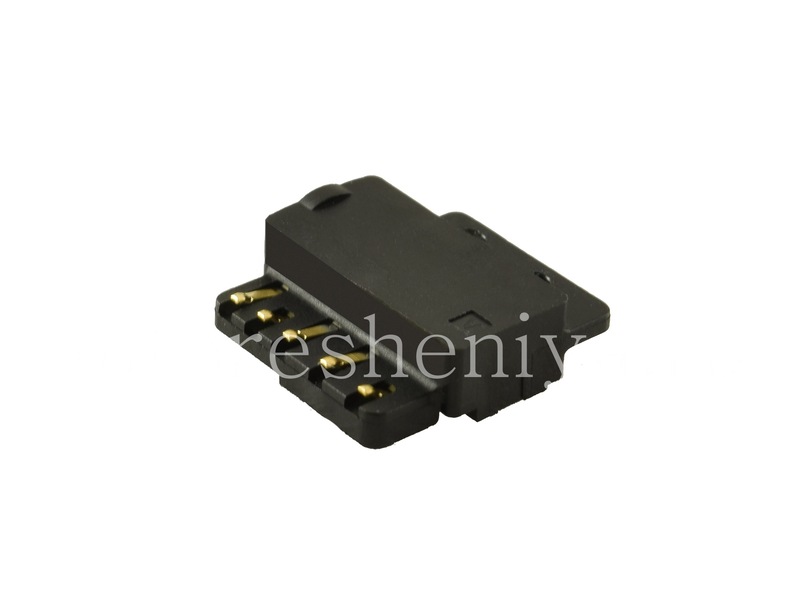 See also: The ring-mount audio connector for BlackBerry Passport Silver Edition.